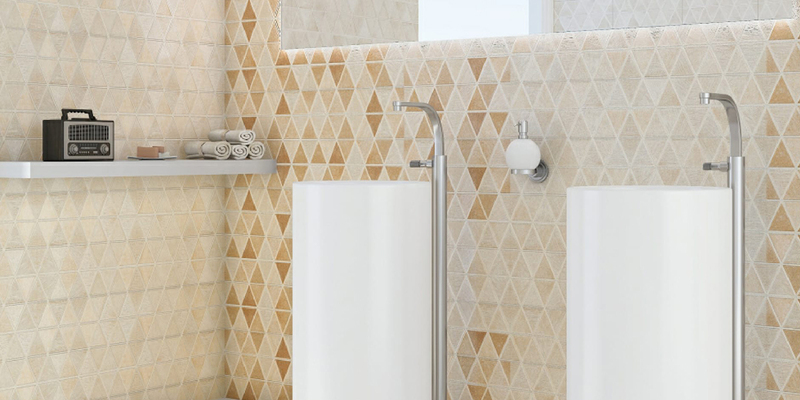 Forget the routine and boring types of bathroom wall tile designs, amp up the look of your bathroom with a new trendy splash of colors or fresh new patterns. A bathroom is the most intimate area where you can relax and spend your valuable time with yourself. It is necessary to design a bathroom in such a way that makes you feel enchanting, relax and fresh. Usually, Ceramic tiles are used in bathrooms as they are hygienic in nature and we know a bathroom is a place where cleanliness is important. 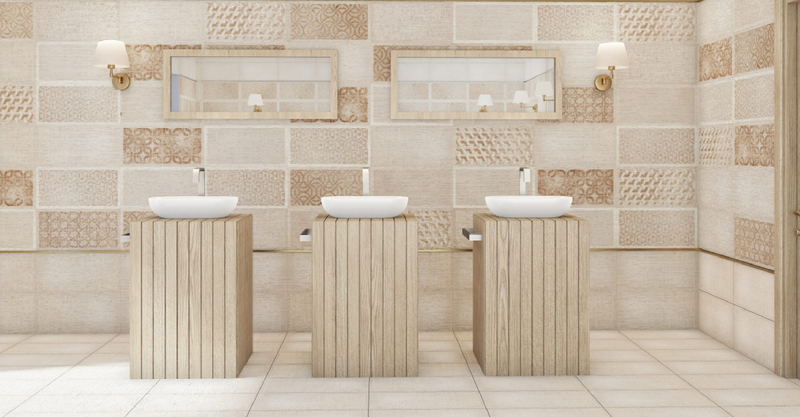 There are several options available for Bathroom Wall Tiles to choose from, to help you decide the best suitable wall tile design for your bathroom; we have presented a gallery of bathroom tile ideas with beautiful, stunning and fabulous textures. Explore each style and get a sense of which is perfect for you. 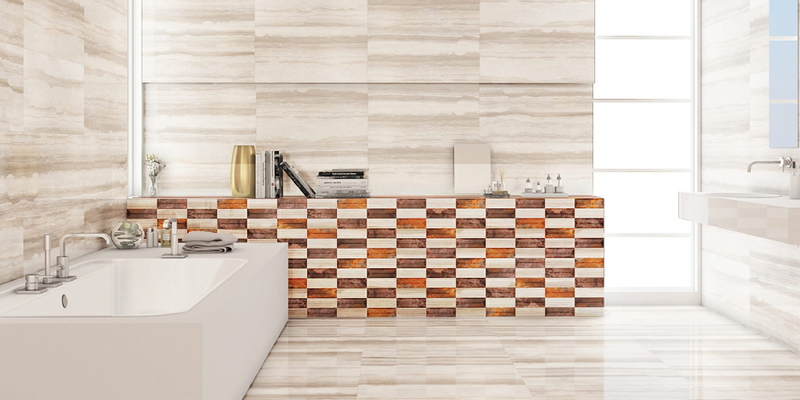 Glam up your bathroom look with this amazing tile design that brings serenity to space. This Altaire 10 x 24 Glossy tiles are perfectly arranged in a horizontal pattern to highlight your basin area giving a luxury touch to the bathroom. It is a beautiful combination of light and dark shades (white tiles and brown tiles) that inspires you to create your bathroom more realistic! Bring uniqueness and add true beauty to your bathroom with this bright patterned wall tile design. 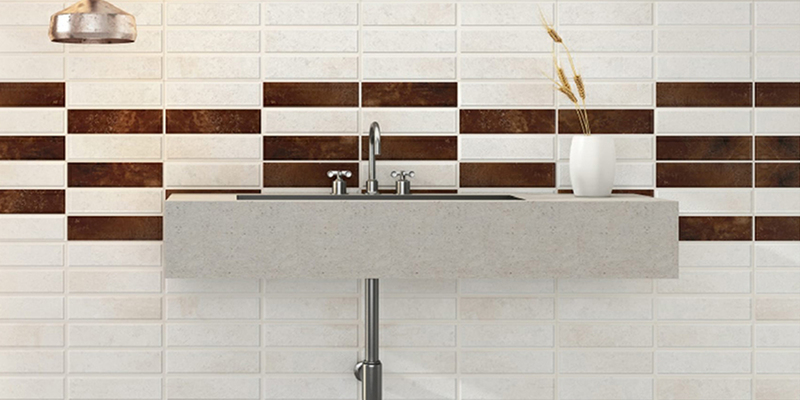 This Antea 12x24 Rustic tile makes your bathroom stand out propelling a unique and embellished style with a luxurious finish. 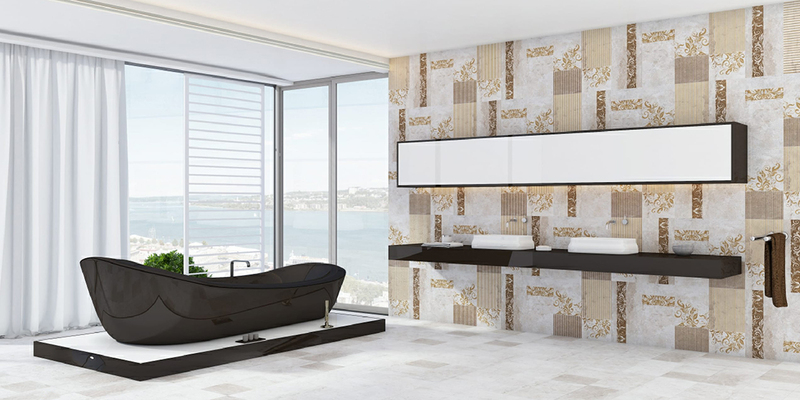 One side textured wall design motivates you to enrich your bathroom with peace and harmony. One of the best ways is using this Aspen 12x24 Glossy tiles rectangular of different color shades with the same size on a sidewall of a bathtub to bring out a light focus and eye-catching view of the bathroom. This type of Cementa 12x12 Glossy tiles combines both classic and modern aesthetic look in a bathroom. A perfect example of a good mixture of pattern color and texture wall design that you can use to enhance the space of your bathroom. A small strip of patterns on a wall gives you an ultimate feel of style and beauty in a bathroom. This Havana 10 x 24 Glossy patterned tile gives you decent yet stylish decor for your any bathroom space. This Lilah 12x24 Matt tiles bright colored finished tiles can make the bathroom space look more sophisticated and elegant. Depending on your bathroom space and color you prefer, you can go for this tiles. 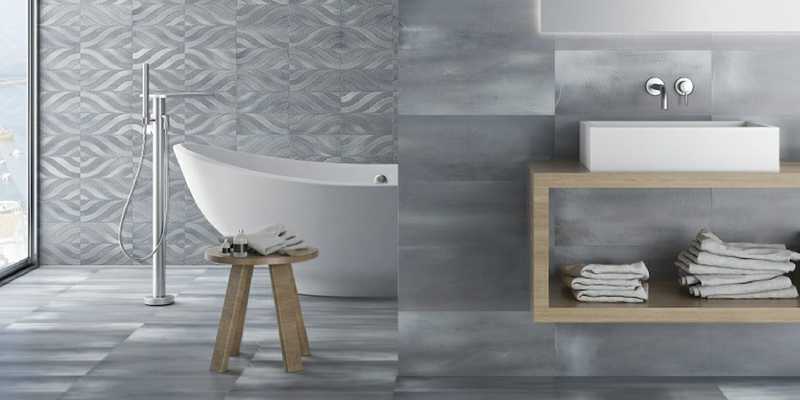 Beautiful grey subtle designer tile that perfectly matches your wooden furniture in a bathroom. 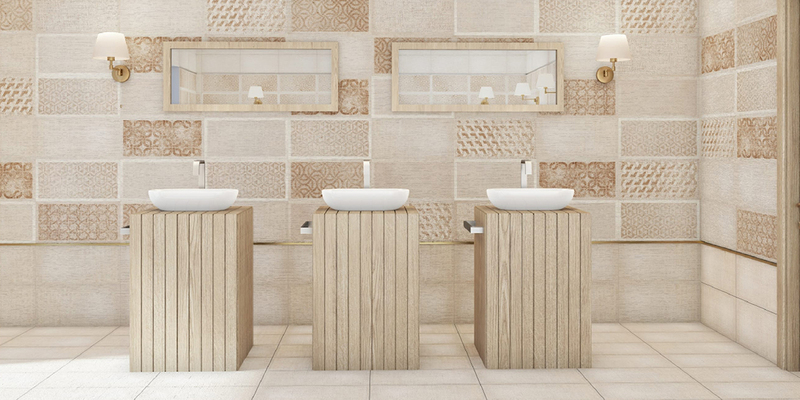 Limestone 10x24 Matt tile is the best option to add an ultra modern and optimistic feature to your restroom. 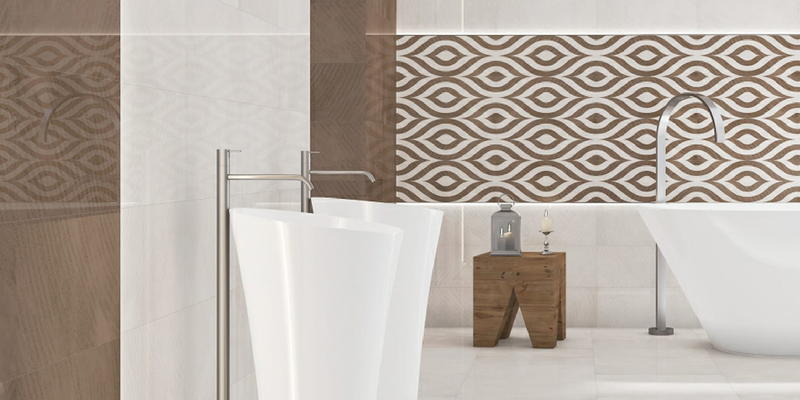 To get an artistic feature and get rid of commonly shaped tiles, this Lincoln 10x24 Matt finished tiles emboss the triangle shape of the tiles in light and dark shades making it look more beautiful and extraordinary bathroom look. Your bathroom speaks your choice with this type of tile design. 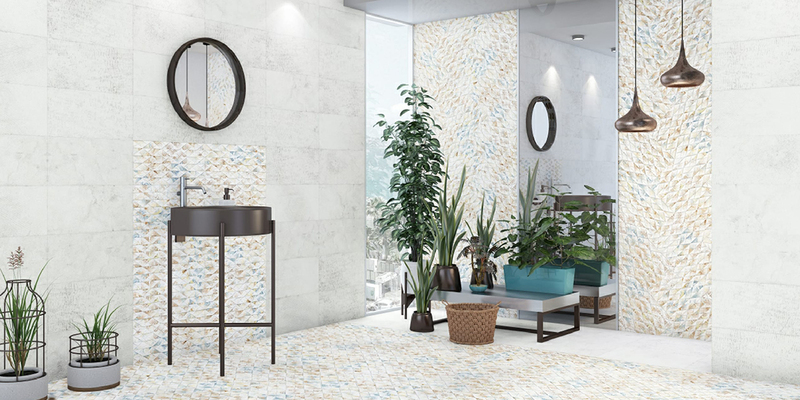 A new trendy and modern Monza 12x24 Matt tile design is best tile option that showcases your unique creative choice for bathroom wall tiles. 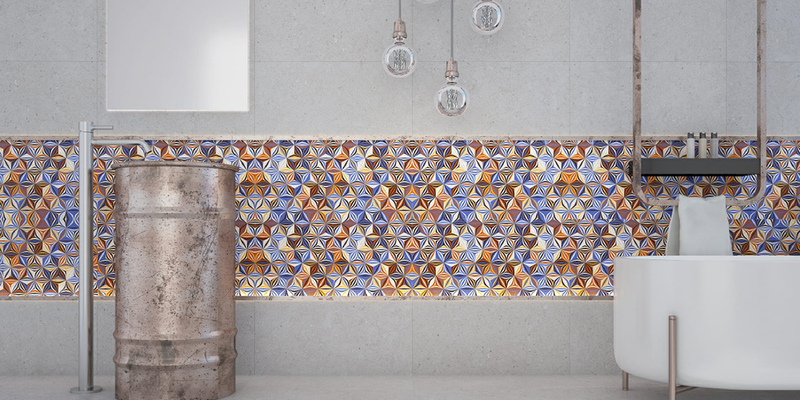 Intensive vivid colored tiles give stunning visual appearance on the walls of the bathroom. 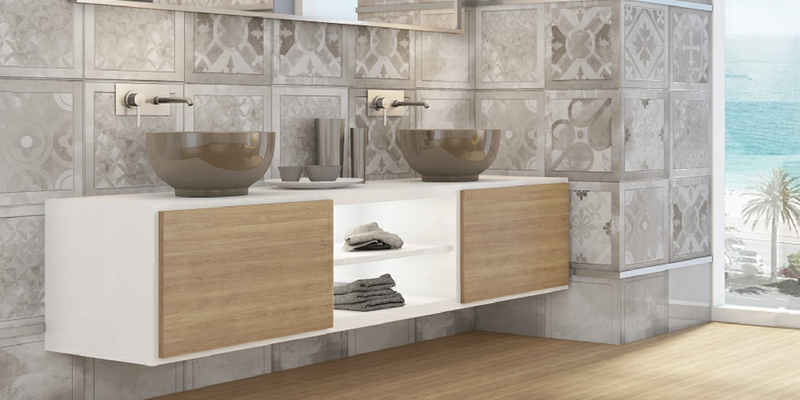 Vanzia 12 x 24 Matt tile is the choice of luxury. You can choose this type of tile for your spacious bathroom to give rich look. Adding more trendy design and patterns to your walls makes your bathroom look stylish. To see more design options, get in touch with us today. Q-BO Digital Wall Tiles offers a wide range of quality wall tiles and floor tiles that adds a perfect style to your bathroom.